For additional information about this book, visit the website www.calousia.org. Read Musser’s Calousia if you want to understand our fast-changing world. Warren Musser's new, more complete future-seeing method reveals, for the first time, the most important of all futures for us to know: it’s Calousia, the natural, brilliant summit of our species’s long progressive evolution. Learn why this Calousian future is “best,” why it fulfills our species’s extraordinary potential, and why it’s not far away. In sum, we should take the exciting new path to Calousia, and Calousia explains why it’s essential to start now. Finally, discover why Musser’s new method clarifies our role in the progressing universe and helps define what we humans are. The primary progressive process of our species is Calousian Creation (CC). Calousia is the brilliant, natural, universal summit of this process. CC is a two-part process. The first part consists of our growing knowledge and powers; the second part, the limits universal conditions impose upon this growth. Yes, while our knowledge may grow forever, it cannot forever keep increasing certain particular powers forever. It can't, for example, keep us traveling ever faster between two given places. If we keep expanding our powers, these limits, acting as a kind of universal mold, will increasingly shape us into Calousians. 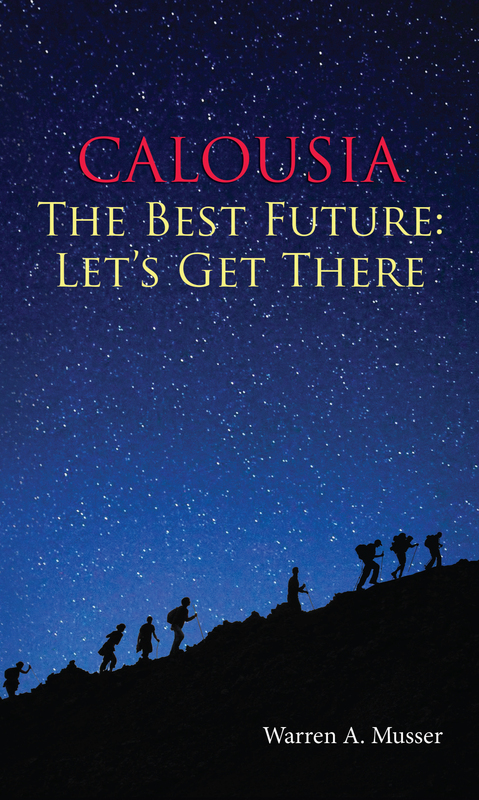 Once we understand Calousia exists, we realize that reaching this brilliant future is our species' primary purpose. Surprisingly, this knowledge also alters how we view ourselves and our species. Finally, we cannot reach Calousia on our present course. To succeed, we must for the first time take charge of our CC process and deliberately and persistently manage our advance. Warren Musser grew up in the fast-changing Bay Area of California. He moved to the East Coast for some dozen years, during which time he served in the U.S. Army, graduated from Yale (literature, history, and psychology) and then spent three years at Juilliard studying musical composition. On returning to the Bay Area, he found it had continued to change, populated now with a million more people and Silicon Valley beginning. These increasing changes so impressed him that, in spite of his inadequate background in this area, he decided to devote his life to trying to understand their significance and where they tended to take our species. This book, a product of the ensuing fifty-five years of persistent effort, is a summary of that larger body of work.